Click the photo to buy the pattern. ​This cushion cover is designed to fit a 16” (40cm) square cushion pad. The cover begins with the celtic braided cable band. Stitches are picked up from one long side and the stripes are worked using the intarsia technique. A buttonhole band finishes this side. Stitches are then picked up from the other long side of the cable band and worked in the same way until a button band is added. The cushion cover is folded like an envelope and the sides seamed. Three buttons are added to close the cover around the cushion pad. You will need one 50g ball each of four different colours of DK yarn, approximately 150 yards of the colour used for the cable section, and 110 yards or so each of the three colours used for the stripes. You will also need 3 buttons, and sewing thread and needle to attach them. Alternatively, you could make the cushion cover in one single colour, requiring 450-500 yards. 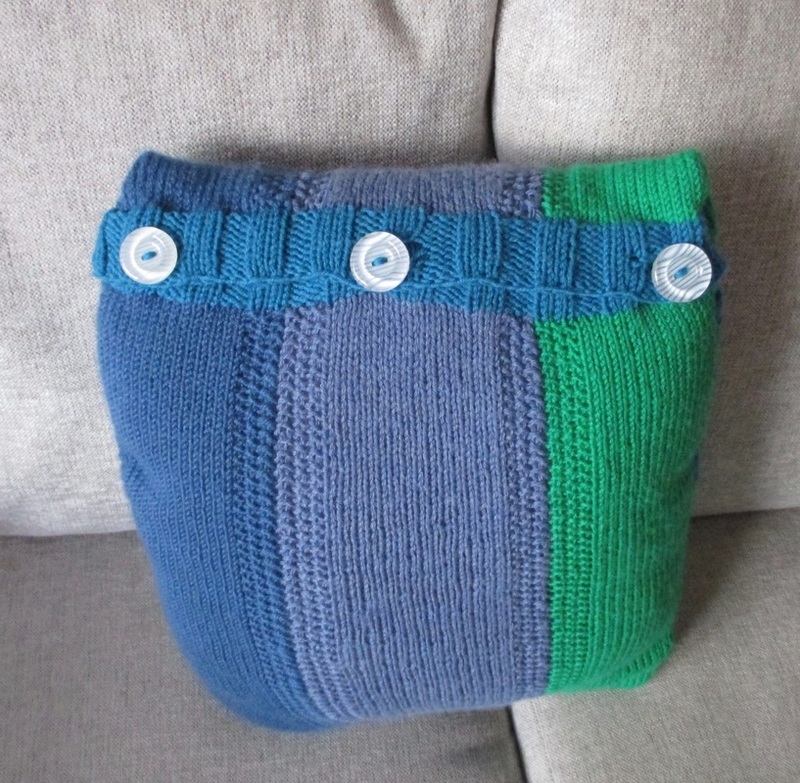 The gauge for this pattern may look a little unusual, but it is measured across the striped section which is stretched widthways to accommodate the cushion pad. During knitting, this section is likely to cinch in making your tension look too tight, but if you typically use 4mm/US 6 needles for DK yarn you should be fine.